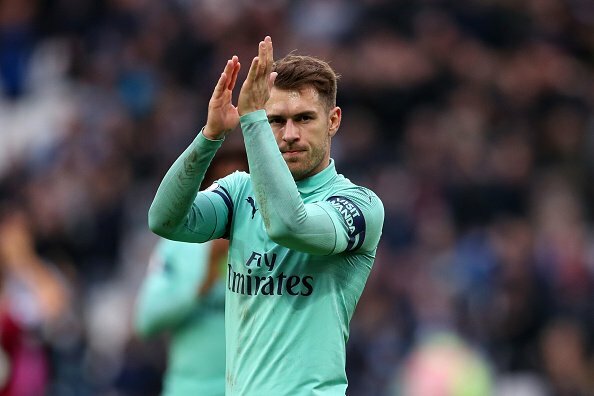 After announcing he would not be extending his stay at the Emirates Stadium, Aaron Ramsey courted interest from the likes of Bayern Munich, AC Milan, and Paris Saint-Germain. But Juventus were the club most keen on the Welshman and it’s now been widely reported by several respected outlets that he has today signed a pre-contract agreement with the Bianconeri. It’s a four-year deal for the former Arsenal player and though Juventus have made him their next high-profile free transfer, they are forking out some serious cash in terms of wages. That’s because it’s emerged that Ramsey will eclipse his fellow Welshman Gareth Bale to become the highest-paid British player, collecting a basic salary of over £400,000 per week. Ramsey joined from hometown club Cardiff as a youngster and won three FA Cups in his time at the North London club. He won the club’s Player of the Season award in 2013/14 and 2017/18, scoring 61 goals for the club.